Optimum Moving is a premier moving specialist in Fair Haven that takes all the hassles away from moving. Whether it is a residential or business move or a long distance move, our skilled and professional staff will take care of everything from the planning to the actual move. We can pack, lift, move and unpack all your belongings while making sure that your belongings are transported safely at all times. The borough of Fair Haven is located in Monmouth County, and is considered part of the New York Metropolitan Area. The borough covers a total area of more than 2 square miles and borders Monmouth County communities such as Rumson, Red Bank, Middletown Township, and Little Silver. Fair Haven is also home to an annual Fireman’s Fair that happens during the last weekend of each summer, and attracts thousands of attendees. 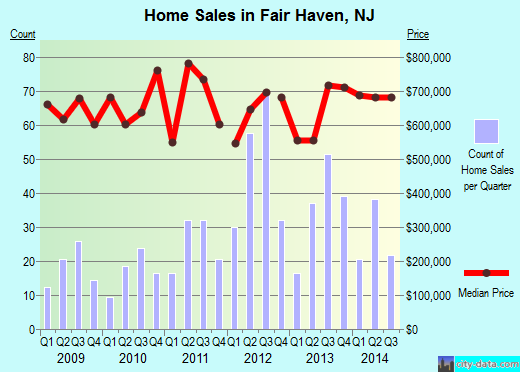 In Fair Haven, the average house or condo costs about $655,190. Close to 68% of the borough’s 6,081 residents chose to live in the same house for five years on average. A majority of the residents also opted for houses that come with three bedrooms. 4-bedroom homes are also one of the popular options around. Residents who own at least one property has stayed in the same house for an average of 13 years while individuals who rent properties have been reported to live in the same place for six years. At Optimum Moving, we believe in the importance of loving what we do, and you can see our passion and commitment to each job through the smiles of our professional movers and consultants. We practice a client-first approach and that’s why our white glove service has been very well-received by those wanting to make residential and business moves. Before the move, we also make sure everything is packed and accounted for on an official document. If you have any questions about your move, do not hesitate to approach our friendly staff for answers. You can count on us to make your move a successful one in Fair Haven! Want to learn more about a Fair Haven Move?